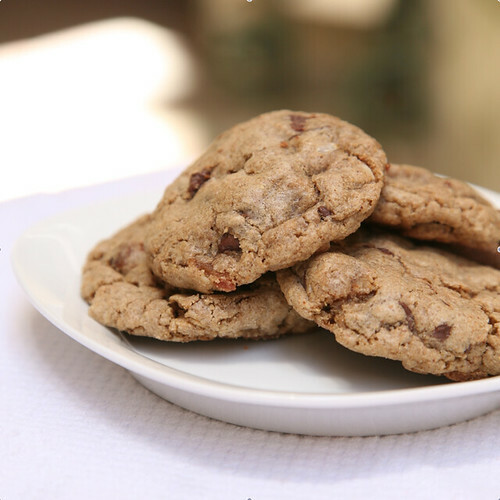 I have been holding onto Heidi Swanson's recipe for Mesquite Chocolate Chip Cookies (featured in Super Natural Cooking) for some time now -- just waiting for the rare day when I might stumble across Mesquite Flour in the grocery store. 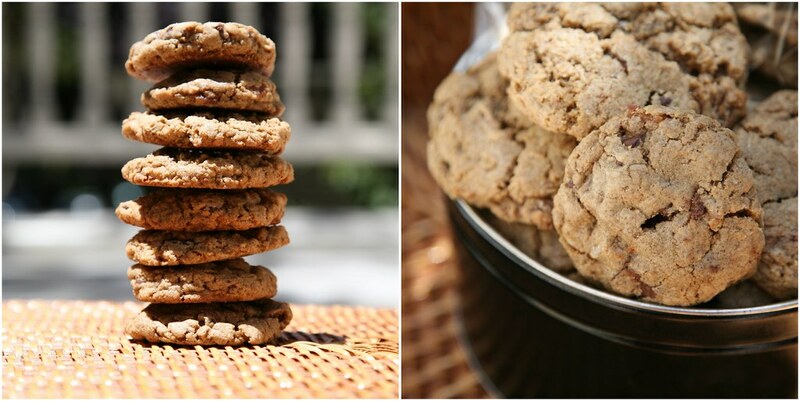 I was inspired to aggressively seek it out on Amazon when I had the epiphany that I should make the Mesquite Chocolate Chip Cookies for my dad as a Father's Day present. However, there would be one manly modification....add BACON. 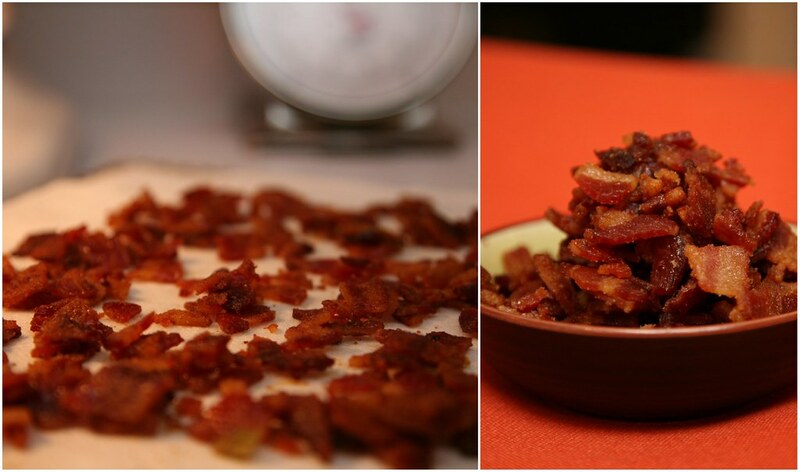 Okay, candied bacon...but still....BACON! 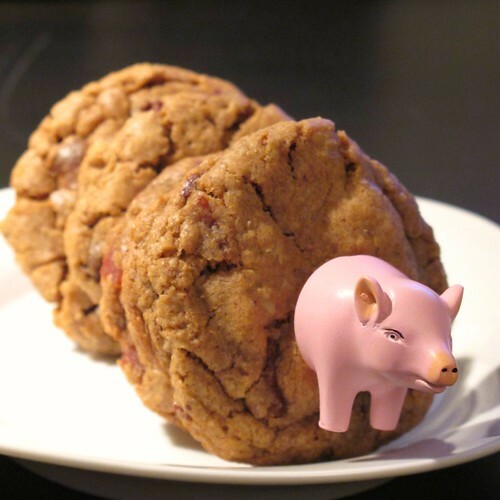 Side Note: We were dog sitting Molly (the cute yellow lab that lives upstairs) at the time I made these cookies. 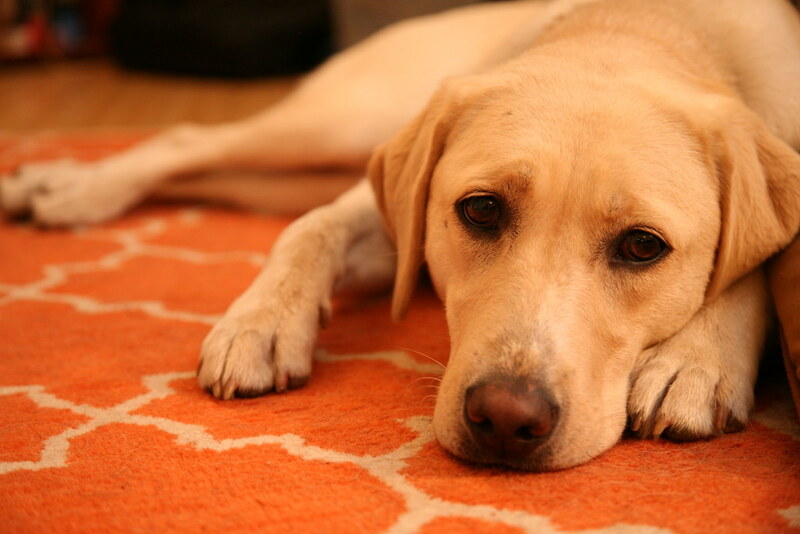 She watched me cook, candy, cut, and photograph bacon intently for at least 2 hours. Just watching, waiting, wishing for me to drop something or give in to the love eyes. But of course, I held my ground... NAHT. This was a MAN Cookie, no doubt about it. The dudes that sampled one of these cookies -- my dad included -- really, really liked them. Kind of mixed reviews from the ladies, though. In this instance, I like to think Father Knows Best.